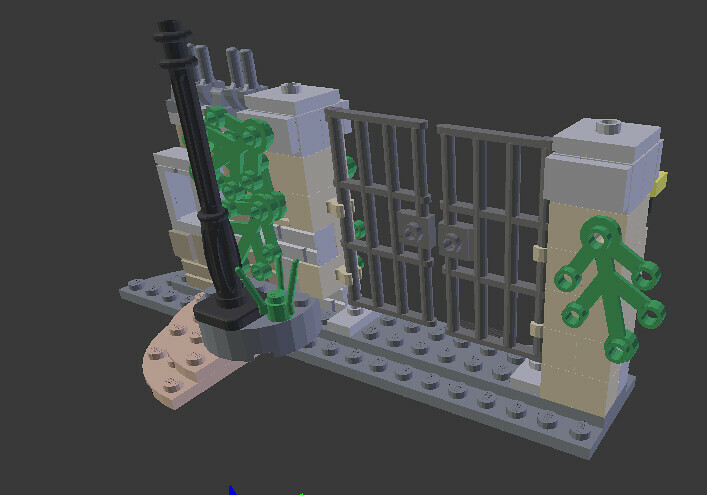 Hi guys, I'd like to create a set, a small one, for a series I invented, that is some kind of saga, now this one I thinked should be one of the smallest in the series, a set priced 14,99€ and is inspired by a real gate. In the file you will find some reference photos and a prototype, made by myself, but that lacks a lot. I tried to make it, and I did my best, but it's not already what I'm looking for. Now what I ask you guys is to think as a real lego designer, so take this model and review it, change whatever you want or even start it again from the beginning, to make it looks like a real set, but the most important is: make it cool! This is not a contest, just an help I ask you. This idea could be interesting because everyone can make a different thing, that is related with his idea of lego set. Sorry for bad english. Maybe you should present in in some other way, I can't unrar it and it also seems to be rather unsafe to do it in this way Ronan! Let me take a guess what JopieK wanted to tell you: Don't hide your content behind a packed archive! Besides the notion, that a lot of people don't want to open packed archives from someone they don't know, you could present your ideas in a much better way. Get a free flickr or brickshelf account and post your stuff there, for example. 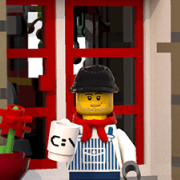 You can directly link pictures from these two in your posts on Eurobricks. how does the Brickshelf account work. Ok guys, I think that this could be a beginning. On my Flickr your will find two photos of the prototype, now just tell me how to give you the ldd and the reference photos. Are you asking the community to design/redesign something that you are planning to sell, based on your own fictional world/story? Not to sell, just to have for me. I just want an help from great builders to make a cool set. Update: the link for only ldd file https://www.dropbox.com/s/h5etaenxod01028/set prototype.lxf?dl=0 don't know hoe to send you the reference pictures now.